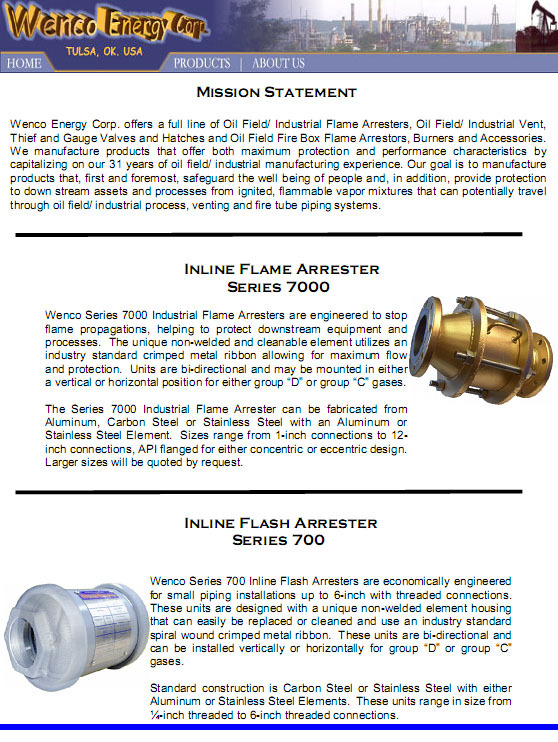 Manufacturing products for the Oil and Gas Industry. Click on the image below to view and print our short form catalog in PDF format. Note: You will need the Adobe Acrobat reader or some other viewer on your computer to use the PDF file. If you would like to obtain a copy of the Acrobat reader, then click on the small button below to begin downloading a copy of the current Acrobat reader.